The once booming bike sharing service sector in China is going thorough a crisis. 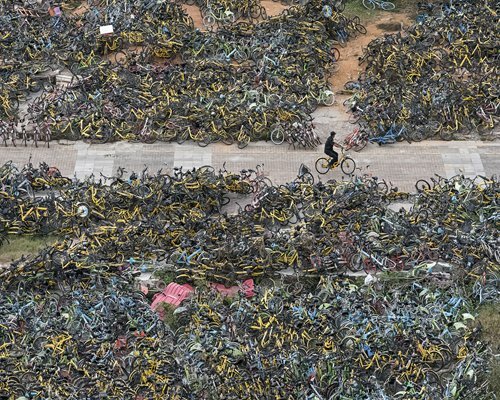 Around 11.7 million customers of cash-stretched Ofo are currently waiting for deposit refunds, which means the Beijing-based bike sharing start-up needs to return at least CNY1.16 billion back to users. Early users of Ofo were asked to pay a CNY99 deposit, which was later raised to CNY199, before they could rent a bike through the service. Users could request a deposit refund anytime via the Ofo app but there was a waiting period of 15 working days for the refund to be received. In late December, hundreds of angry customers lined up outside the company’s Beijing headquarters to ask for immediate deposit returns. Some said they queued in the chilly winter because they failed to receive refunds online even after the allotted waiting period and they had read news on Chinese media outlets that users who personally went to Ofo’s office were able to get refunds right away. Ofo’s major Chinese competitors – Meituan-owned Mobike and Ant Financial-backed Hellobike — both announced deposit-free services this year. Ofo was a pioneer in China’s bike sharing market, attracting USD2.2 billion of funding from domestic and overseas investors, including DST Global, Coatue Management, Matrix Partners China and Alibaba Group Holding. Its business model was praised as one of the “Four Great New Inventions in Modern China” by Chinese state media — the other three being high-speed rail, mobile payments and online shopping. But recently Ofo has been sued over unpaid bills by its suppliers, signaling the company is running short of cash. Bike makers Shanghai Phoenix Bicycles and Tianjin Flying Pigeon Cycle Manufacturing as well as logistics services providers Best and Deppon Logistics are among the firms that have recently sued Ofo. Chief Executive Dai Wei said he had considered filing for bankruptcy and liquidating the company’s assets to pay creditors back, but when he saw people still riding Ofo bikes he realized “surviving is the only way out”. In December, a local court in Beijing put Dai on a blacklist for failing to repay his debts. The ruling said he must refrain from incurring excessive business expenses, including playing golf, flying business class, or staying in luxury hotels. Meanwhile, Hu Weiwei, Co-founder of Mobike, has resigned as Chief Executive for “personal reasons”. Hu co-founded Mobike in 2015 and grew it into a billion-dollar business within just two years. The 36-year-old entrepreneur wrote that she has completed her mission at Mobike and had decided to move on, but did not say what her next role would be. Liu Yu, the current President of Mobike, will succeed her as Chief Executive. Mobike was sold for USD2.7 billion to Meituan-Dianping, China’s largest food delivery service, in April. After Hu’s resignation, Mobike issued a statement saying Hu would continue to “walk along shoulder-by-shoulder” with the firm she co-founded and said it would continue to focus on bringing bikes to urban ecosystems. Carmakers like Shouqi Group are looking to develop vehicle sharing services based on the assumption that future consumers would rather make short-term use of those assets than owning them outright. In February, Didi Chuxing teamed up with 12 Chinese carmakers to develop an electric-vehicle sharing platform. Shenzhen has a high demand for shared vehicles because only one in 300 people with driving licenses can obtain the hard to get license plates needed to purchase vehicles, said Tan Yi, Chief Operating Officer (COO) of GoFun. 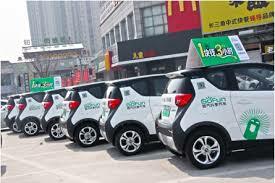 After launching vehicle-sharing operations in more than 40 Chinese cities, GoFun now has 1 million monthly active users. At airports and railway stations in China it is often easier to rent a car for a ride home as there are always long queues at the taxi stands. Shouqi said it will have 1,000 vehicles on the road in the city by the end of this year and will rent more dedicated GoFun parking spaces. A report from Dongxing Securities said the sharing-vehicle business requires high initial investment and operating cost, so most players won’t make a profit in the current environment. “Those who can lower the vehicle production cost or who have cutting-edge technology are more likely to win out,” said the report, which expects the shared vehicle market in China to be worth CNY9.28 billion in 2020, up from CNY820 million in 2017. Unlike China’s ride hailing market which is dominated by Didi Chuxing, there is currently no strong leader in vehicle sharing, the South China Morning Post reports.